It’s almost December and most of us are have already started the countdown to Christmas Day. Presents, decorations, dinner arrangements! None of it can wait. Tomorrow marks the first day of the most festive month of the year, and with it, a lovely tradition will bring excitement to many homes. Advent Calendars will surprise with different sweets and candies every day, making the impatience for the big 25th grow. 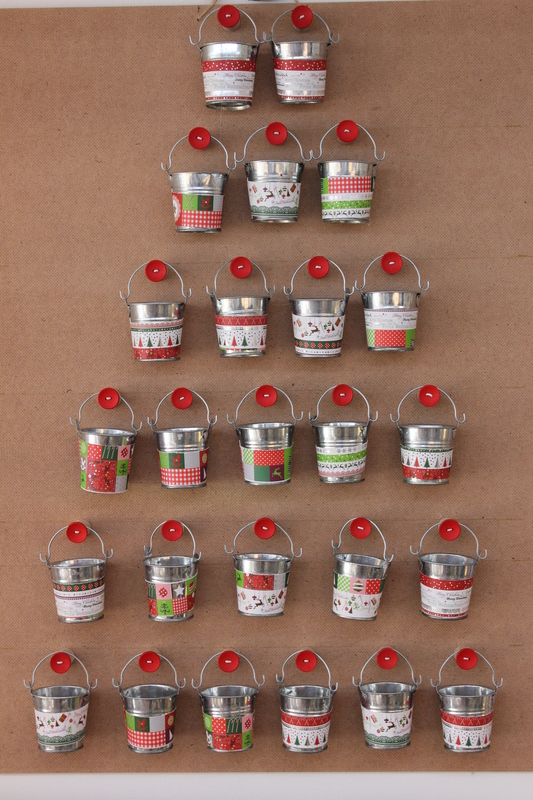 25 small zinc buckets, decorated with coloured paper, hung on large wooden beads with a button at the front – there to keep you excited all throughout December!